Vision Metron Review: Slim and round wheels with deep rims at budget prices. 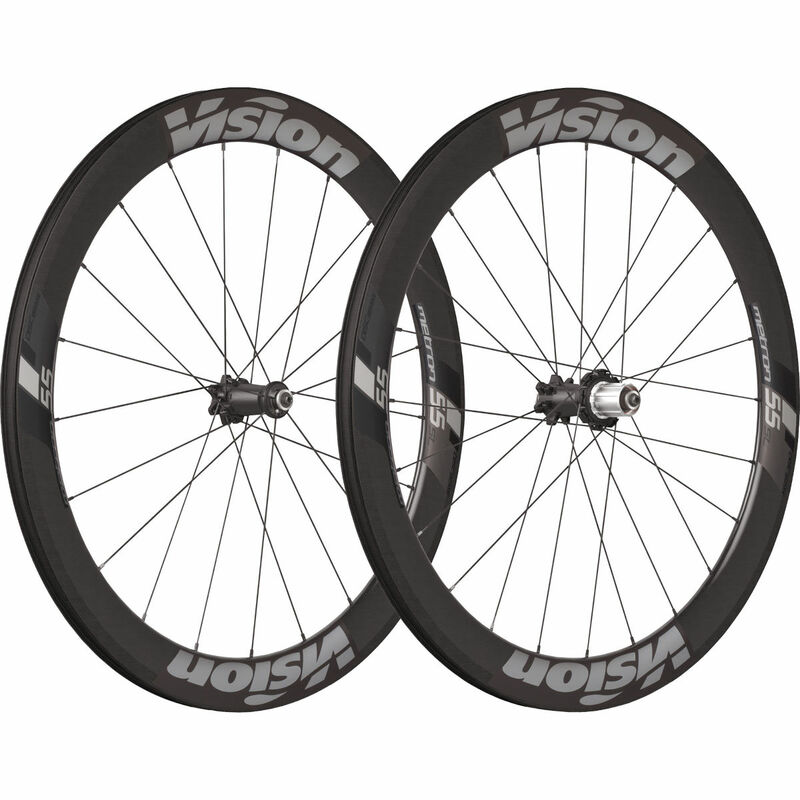 Vision Metron are wheelsets that are available in both carbon and tubular versions. The rims on these wheels run quite deep, so they are very suitable for gathering speed and momentum. These wheels are designed after considering highly precise computer models. Metron is Vision’s aero and time trial wheelset model. With these, you get wheels with rims deep from 40mm up to 80mm. You can get Metron wheels in both clincher and tubular shapes. There’s also a disc brake version available as Metron 41. The Metron wheels are known for wider rims, which Vision recently plumped up. Rims of both tubular and clincher wheels were given a more rounded shape based on fluid dynamics computations and wind tunnel testing results. You can easily distinguish a Metron wheel thanks to the ultra rounded and slim shape. But is does this high-tech shape work? For the most part, yes. The performance will also depend on the other features of the Metron wheels you buy. The hubs on Metron wheels tend to be quite big, about 17mm in axle diameter. Most have full ceramic bearings. The front wheels have higher numbers of radially laced aero spokes, while the rear wheels have fewer spokes. Nondrive side usually has the higher number of spokes than the drive side. This design is crucial for proper transmission of power. Metron wheels also tend to be on the light side. For example, Metron 40 weighs about 1,612 grams. So these are quite ideal for racing. Metrons ride smoothly, much better than other brands like Zipp. They also spin more freely, compared to wheel brand like Firecrest. It’s easy to gain speed and maintain momentum with Metron wheels. Thanks to the slim design, it feels like flying in the air when speeding. The slim wheels have the disadvantage of lacking grip and traction, so they may not be suitable for the really rough terrain. Otherwise, they offer excellent value for the price. Vision Metron is a time trial wheelset that budget cyclists can depend on. The wheelset is built really well despite the low price. These wheels are great for racing and you may be able to double them as commuter wheels too.